Care To Be Different is a specialist online information resource all about NHS Continuing Healthcare funding in England. NHS Continuing Healthcare is NHS money that covers the cost of care for people who meet certain criteria in terms of their care needs. It is not means tested and eligibility has nothing to do with a person’s money, house or savings. …and much, much more. It means you have the best chance to secure the care funding your relative may be entitled to, and to protect their money and their home. Information about what should actually happen in NHS Continuing Healthcare assessments is not always easy to find. Families report that it is often hard to know which way to turn when someone needs care – and many people feel that the system is designed to stop people accessing the care funding they’re entitled to. 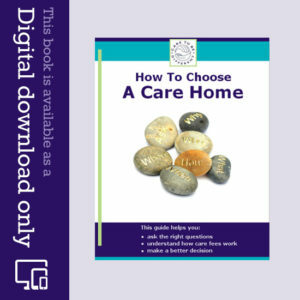 The information on this website is based on the extensive research into the care funding system in the England carried out by Care To Be Different – and also the personal experience of hundreds of families who have contributed to this site through there comments and by sharing their experiences. Use the list of Categories on the right hand side of the page to help you find what you need. 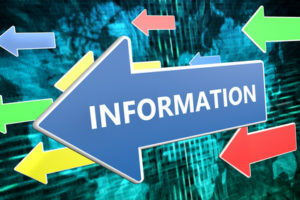 Subscribe to our regular information bulletins – FREE. Go to the Home page. Take a look at our ebook, ‘How To Get The NHS To Pay For Care’. Going through an assessment without being well informed about what happens in PRACTICE puts you at a big disadvantage. This step-by-step guide shows you how to fight back when assessors incorrectly try to deny your relative the funding they may be legally entitled to. Join our Facebook page – and share your experiences with other families going through the same thing. What is Funded Nursing Care? What is the Coughlan case? What is the Grogan case? 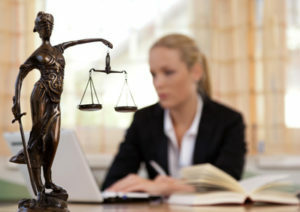 Need more help with your case? The NHS Continuing Healthcare process can be exhausting. You may be going through the initial assessment process or feeling stuck with an appeal – or you may be claiming back care fees retrospectively. If you need a specialist solicitor to help you with your individual case, read more here. Why does Care To Be Different exist? In an ideal world, it wouldn’t be needed at all. Sadly, the care funding system can be a minefield for families. The Care To Be Different website was started by an individual after she tried to understand the care funding system when her parents needed care. Her parents went into full time care in Spring 2005 whilst both suffering with Parkinson’s Disease and dementia, plus each had other medical conditions including heart disease, several strokes and latterly her father had cancer. Her parents both sadly died in 2009. They were incorrectly charged for care fees – when in fact the NHS should have covered 100% of the cost instead. The original founder of Care To Be Different challenged the NHS on their attempts to wrongly make her parents pay for care, and she eventually secured full NHS Continuing Healthcare funding covering all care fees for both of them. Care To Be Different website is based on the stories of hundreds of families, the vast majority of whom have experienced appalling practice by NHS and local authority assessors. The Care To Be Different website has been developed as a specialist information resource, providing practical information about NHS Continuing Healthcare funding specifically for families – to help them understand the NHS eligibility process to obtain free care funding; to battle against the NHS on level terms; to challenge abuses of process and perverse decisions by when obvious funding has been rejected; and to help families fight for their rights and entitlement to NHS Continuing Healthcare funding where appropriate. Continuing Care Solutions came across this amazing website which we loved, as it fits squarely with our company’s own ethos. We also loved the idea that Care To Be Different website provides lots of helpful facts, tips and suggestions, and a plethora of invaluable information and resources in simple plain language – absolutely free! Continuing Care Solutions has since acquired this website and has continued to develop its contents to help other families battling with NHS Continuing Healthcare funding assessments in England and Wales, and to help them reflect and challenge the NHS at every step of the way. “Today I have the peace of mind that I fought hard for my parents while they were in care – protecting their financial interests and also doing what I could to make sure they received the care they were entitled to. But it wasn’t always that way. “When my parents first went into care I knew nothing about the care system – and I found that very few people in ‘authority’ were willing to help me. Their first questions were all about my parents’ money, and few people seemed concerned about their actual care needs. “It’s hard having a parent in a care home. It’s even harder having two parents in care at the same time, especially when both are very disabled and both have severe dementia. And it’s harder still when you don’t understand the system and yet you’re faced with the exhausting battle of forcing the NHS to step up to its legal duty. “Every time I found myself having to describe my parents’ state of health to people from the NHS, whose main aim seemed to be to obstruct the funding process and deny care, my heart would break a little bit more. “I realised my parents were at the hands of an NHS and a ‘care’ system that seems to care very little for older people. I also experienced first hand the gap between how things should work in theory and what actually happens in practice. “It felt like a very long battle – and if back then I’d had even half the knowledge I have now, it would have been so much easier. “Incorrect care funding decisions are often imposed on older people in care, and yet there is often no one in any statutory authority willing to help people challenge such decisions. “As happened with my own parents, the wrong decisions as a result of a flawed and illegal process led to them having to sell their home to pay for care – until I challenged the NHS and won a refund of care fees for them. “I blogged about my experiences at the time, and then I decided to set up Care To Be Different – to share the knowledge and insider insights I’d gained, and to raise greater awareness of the extent of financial abuse and seeming age discrimination in our woefully inadequate care system. “If I’d had someone to guide me through the process back then – and show me what really happens, not just what’s supposed to happen – I would have saved so much time and stress. “Older people in full time care have a right to receive state-funded NHS care for health needs through taxation just as much as any other person, whatever their age or circumstances. “I was never a natural when it came to standing up to authority – until 2005 when both of my parents went into full-time care and I found myself face to face with the NHS. “My parents both had the same illnesses (advanced Parkinson’s disease and dementia for starters), both needed care, both went into a care home on the same day, both were illegally charged for care (which cost them their home and everything they’d worked for) – and they both subsequently died within a few weeks of each other four and a half years later. “To say that I was shell-shocked after that would be an understatement. It was a harrowing experience – yet one I know is also shared by tens of thousands of other people across the country. “At the start I knew nothing about the care funding system or the Continuing Healthcare funding criteria and I, like many other people, simply assumed that because my parents had a house and some savings they’d have to pay for care. After all, that’s what the health and social care authorities tell us, isn’t it? “I soon realised, however, that this is in fact not the case. I started reading about Pamela Coughlan and the now well-known Coughlan case at the Court of Appeal, and the Grogan case, and began to realise my parents’ care fees were in fact illegal and that they should be receiving NHS Continuing Healthcare funding to cover all their care fees. “I started exploring what actual assessments had been done for my parents when they went into care, and I was shocked at what I found. The process was a mess – and highly questionable: Assessments had either not been done properly or not at all; in my mother’s case the NHS asked my father (who had dementia) to sign paperwork that was then used to deny her funding; I had been kept out of the loop (despite holding a power of attorney); I’d been given incorrect information; and key health needs had been completely disregarded. When I arranged for reassessments to be done I experienced verbal intimidation by one assessor and blatant misstatements of fact by another. “Back then very few organisations, including the big charities, seemed to have even heard of Continuing Care, let alone be in a position to help me fight my parents’ corner. But, despite people in the care system being unwilling or unable to help me, I did a ton of research and started delving into the dark recesses of Continuing Care maladministration. I had no idea how to prepare for Continuing Care assessments, but I was going to find out. The local authority told me their files would now be closed and the care home management was appalling in its indifference. I felt utterly alone. I realised it was going to take all the energy I could muster to fight this. “I’m typically Taurean – we are (apparently) relentlessly persistent and determined, but also annoyingly stubborn and inflexible. I now count all those traits as blessings. My battle for Continuing Care for both of my parents took three and a half years and left me exhausted – not least because of the 250 mile round trip each time I visited them or attended any meetings, but also because I was a self-employed writer at the time and keeping a business afloat. “And, of course, at the centre of it all were two people I loved who were dying. My father had developed kidney cancer and my mother had several strokes. “My parents ran out of money, and the care home came after me personally for funds. It is, of course, not the family’s responsibility to pay care fees in this situation; instead, it’s up to the local authority. I realised how easy it is to be taken in by what the various care authorities tell you. But I was having none of it. I was incensed at what the State had put us though – and at what it was still trying to do. “My mother’s case went all the way to a Strategic Health Authority tribunal. I learned so much about the care system during that time, how to counter what the NHS was saying, how to back up my case from a legal point of view, how to challenge the misinformation and appalling lack of knowledge on the part of the assessors, how to put the NHS on the back foot in an assessment and how to write a powerful appeal. “I won my mother’s case, and I repeated similar arguments in my father’s case, using the same process, the same research and the same strategies to challenge everything. Eventually I won his case too. The NHS was forced to repay care fees and provide Continuing Care funding on an ongoing basis. “I believe Continuing Care is one of the biggest scandals in elderly care in the UK. After my parents died, I realised that my experience and knowledge would be valuable to other families, and that’s why I set up Care To Be Different. I also knew that I could do things a lot more quickly for clients – and that I could make the process easier for them. “Plus, I understood the tears, pain and anguish that families go through and how important it is to have someone on your side who is not simply helping from theoretical knowledge, but who has ‘been there and done it’ and who understands the ins and outs of the system. 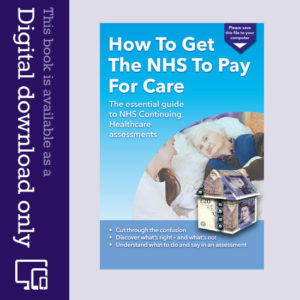 I also wanted to put a lot of my knowledge together in a format that families could access easily; my e-book, ‘How To Get The NHS To Pay For Care’, has now proved valuable in helping many clients successfully obtain Continuing Care funding. “My message to anyone who has an elderly relative in care and paying care fees is simple: challenge everything you’re told and don’t take no for an answer. Read more about Continuing Healthcare and how to get assessed.